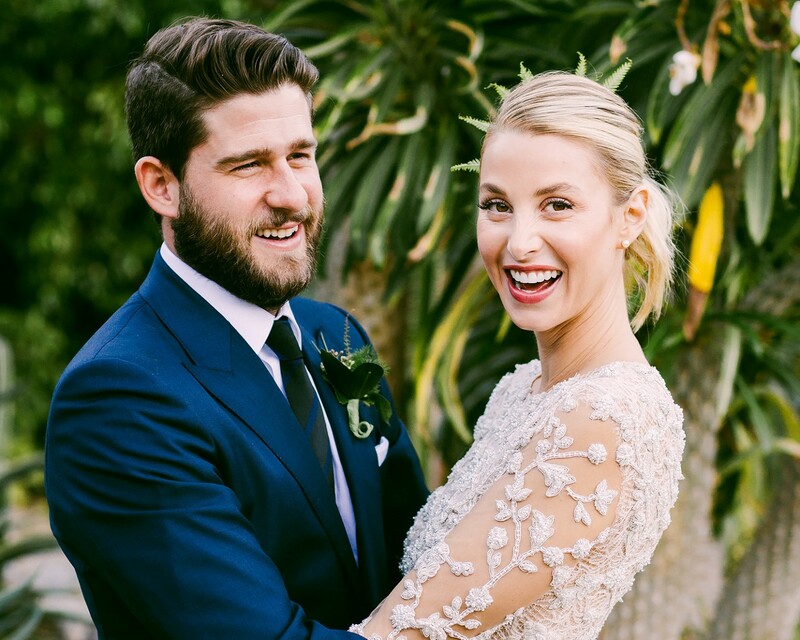 It’s been nearly three years since The Hills star Whitney Port exchanged vows with her husband, Tim Rosenman, but that doesn’t mean the former reality star is at all rusty when it comes to chatting about all things bridal. Port—who announced Tuesday, August 21, that she will be on the reboot of the show The Hills: New Beginnings—tells The Knot that in reflecting back on her own sunset desert wedding, there’s just one key thing she would have done differently. The lifestyle guru tells us that several items that the megastore carries that she considers her “top picks” for pre-wedding necessities include a notebook to help brides-to-be stay organized before the big day (ideal for holding inspirational sketches), decor for reasonable prices (“It has everything from rustic lanterns to votive centerpieces to create your dream table setting,” she says), and spa essentials and skin care products ideal for relaxing. Now that the couple is happily married (with one-year-old son Sonny Sanford along for the ride), the couple could not be happier. “We have created this amazing foundation with so much love and support for each other,” she says. Be the first to comment on "Exclusive: The Hills’ Whitney Port on What She Would Do Differently on Her Wedding Day"